Whether you have an older home or you are in the process of a new home build, you never want to find that you have gone with the wrong company to offer you sewer installation in Forbes Hill. This is a process that requires trained professionals so that your sewer lines are installed right the first time. If a sewer setup is not installed the right way, you could be opening yourself up to a world of issues. There can be leaks, corrosion, and high water bills due to the water leaving the pipes. If you start to notice that your water bills are steadily increasing, it could be a red flag telling you that it is important that you have professionals look at your sewer lines. When there is something wrong that cannot simply be fixed, you will need to think about your options in professional sewer installation. 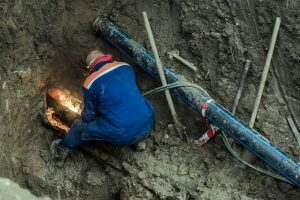 It goes without saying that nobody ever wants to find out that they are experiencing root infiltration or burst pipes underground on their property. What you should know is that roots happen to be an issue quite often in homes where there are trees and shrubs that are too close to the sewer lines or septic system for a home. When you work with our professional sewer and septic providers at Schleg Valley Construction, we can come out to your location to do a full assessment before getting started. Even if you find yourself in an emergency situation, we can be there in no time at all to get going on your new sewer installation so that you do not have a whole lot of downtime in your regular daily activities at home. Schleg Valley Construction is your answer when you are looking for quality sewer installation in Forbes Hill. Call (425)312-6750 for information!